I was lucky to discover details of this lovely DKW of the ISDT 1935 in an old copy of a Catalogue for a Sale of Pioneer ,Vintage, Classic and Racing Motorcycles that was held on the 18th October 1990 at the Classic and Motorcycle Mechanics show at the Stafford County Show Ground. DKW’s designer, Zoller, assembled one of the finest teams ever seen to ride his unique twin cylinder supercharged two strokes. However. it was not only on the race track that the German teams wished to dominate. At the time the International Six Days Trial held a huge amount of prestige for the winning nation and their machines. Throughout the thirties the major protagonists were Great Britain and Germany. This machine is one of between five and seven examples built in 1935 for the (ISDT held in Oberstdorf, Bavaria, the Germans having won the previous years event thus gaining the right to host the 1935 event. 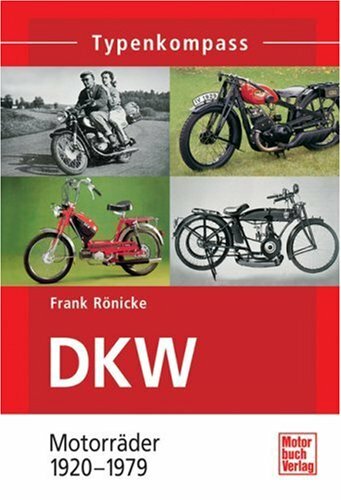 With the prestige of their country at stake a trong team of riders was fielded on the best equipment including three works DKW rider. Walfried Winkler, Arthur Geiss and Ewald Kluge. The event could hardly have gone better from a German point of view with their team winning both the Senior event for six man teams and the Silver Vase competition for four man teams. However, it also marked the end of their winning run. Great Britain would win the next year. Restored during 1989. this example is the only confirmed surviving example of the machines built by DKW for that years event. Although rumours suggest the possible existence of another. It is powered by a twin cylinder engine with a third smaller cylinder and piston mounted in the front of the crankcase providing the supercharging. Finished in the correct silver. white and blue livery. It is described by the private vendor a being in very good condition in all respects. The three speed gearbox provide the rider with the option of either hand or foot operation and is housed in a pressed steel frame equipped with blade girder forks. It has seen some recent use in the hands of its owner and provides the rarest of opportunity to acquire an example of one of the worlds most significant competition motorcycles. I would hope some 24 years after that auction this bike is still in running condition and it would be nice to find the owner and get a bit more background and photos of the bike for our archives.